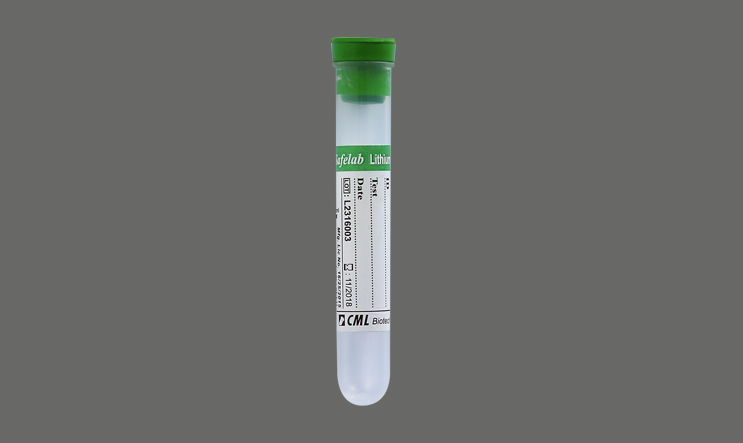 Usage :For Biochemistry ,Endocrine and metabolic disorders, Therapeutic Drug monitoring and Toxicology, Electrolytes, Clinical chemistry, Serology and immunology etc. Lithium test should not be performed using Lithium Heparin tubes. Gently invert the tubes 1800 5-8 times immediately after blood collection or mix in roller mixer.